Two of the biggest legends in Western style have joined forces! 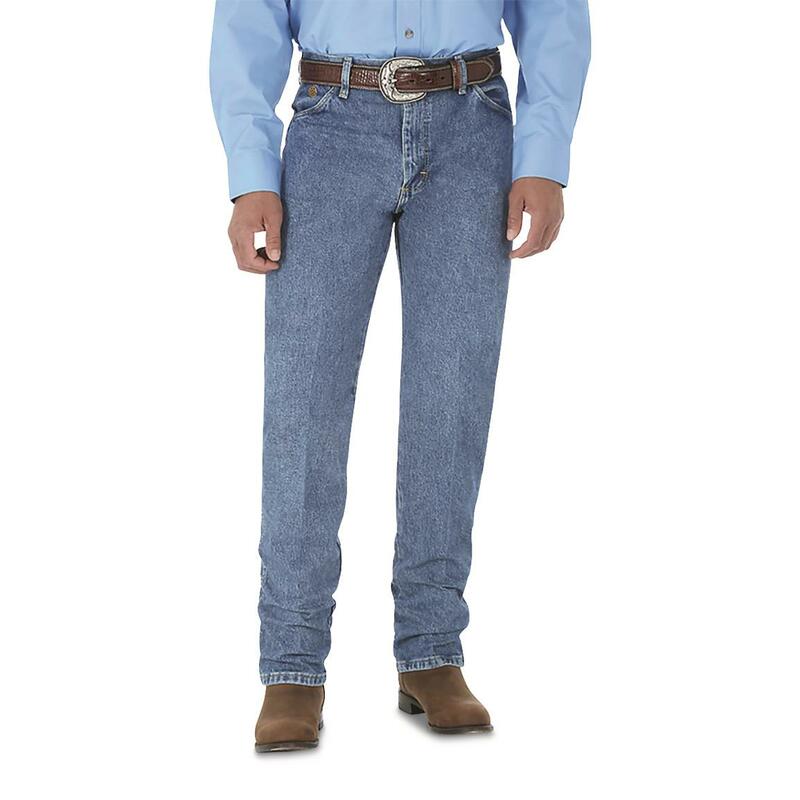 Wrangler®'s George Strait Cowboy Cut® Signature Blue Jeans give you a fit and look as timeless as the man himself. 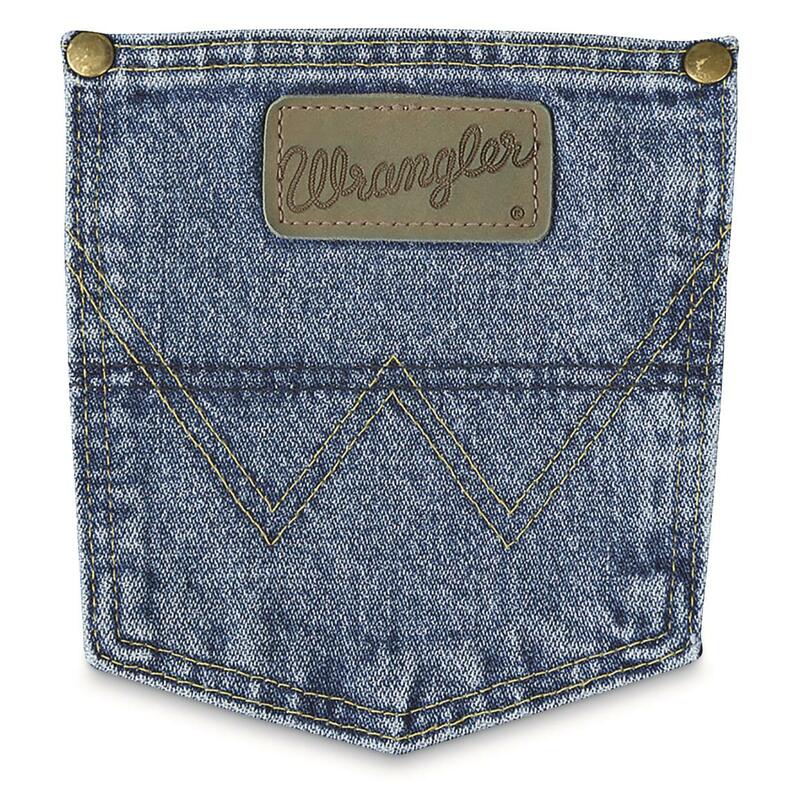 Medium-stonewash finish and original-fit comfort come standard. 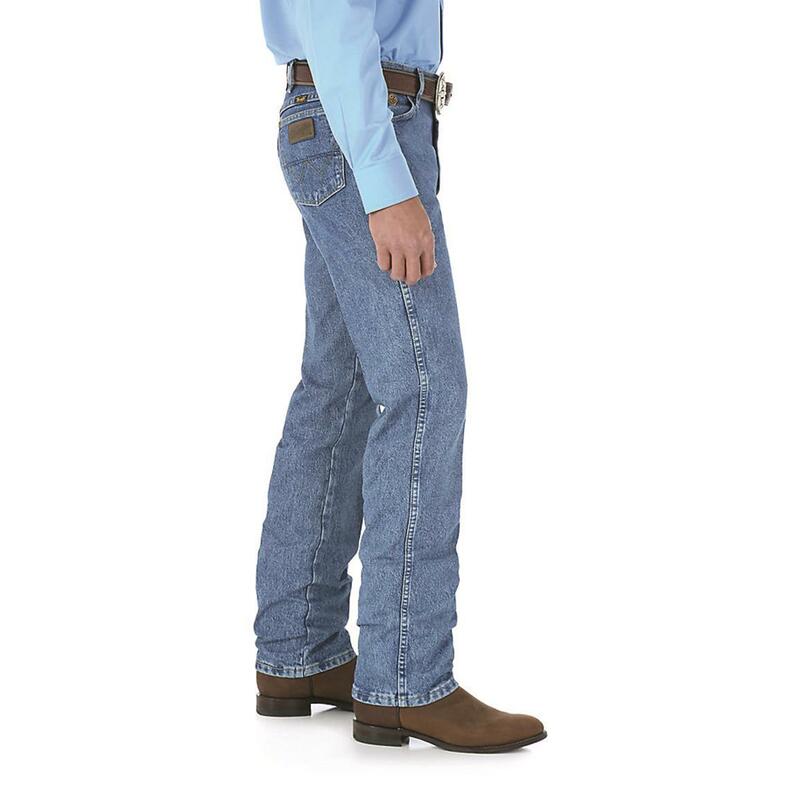 Cut roomy enough to fit over your favorite boots, and slim enough to fit perfectly with classic cowboy style. Large and extended sizes available. 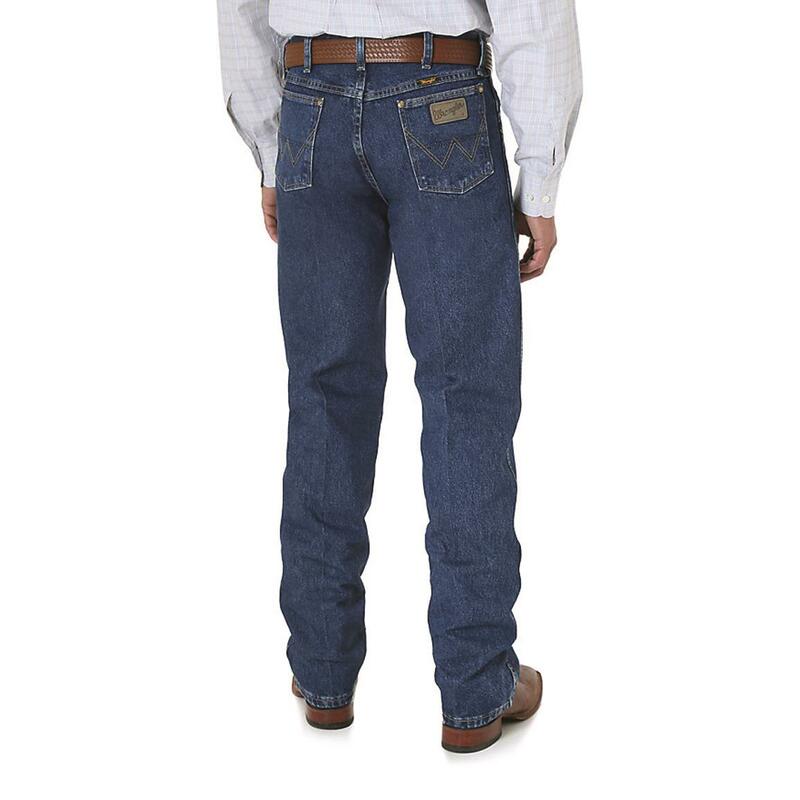 Wrangler George Strait Cowboy Cut Original Fit Blue Jeans, Washed Denim is rated 4.4 out of 5 by 764. Rated 5 out of 5 by Robbie from Buy them! Daily use. Going to try and shrink them. Too loose in the legs. 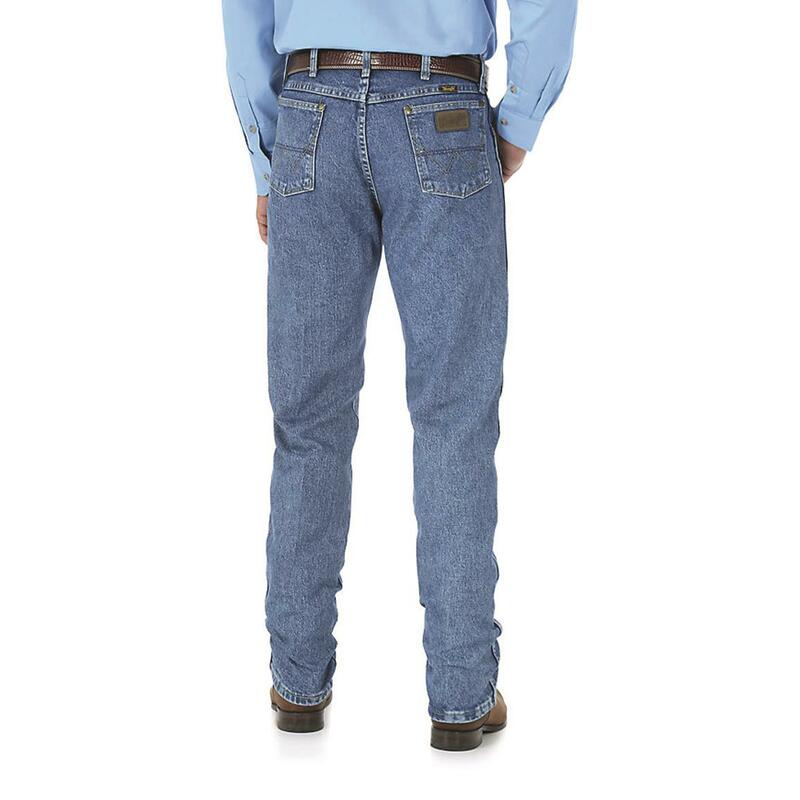 But overall nice jeans. 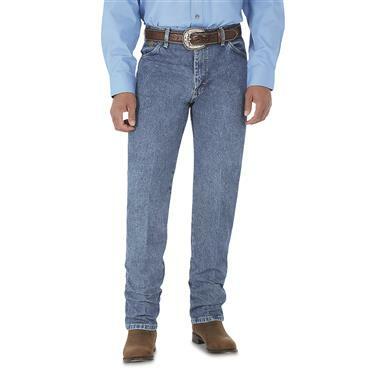 Rated 5 out of 5 by Contractor from Great for work Wrangler cowboy fit are perfect for every day Jean's for much husband who is a contractor. 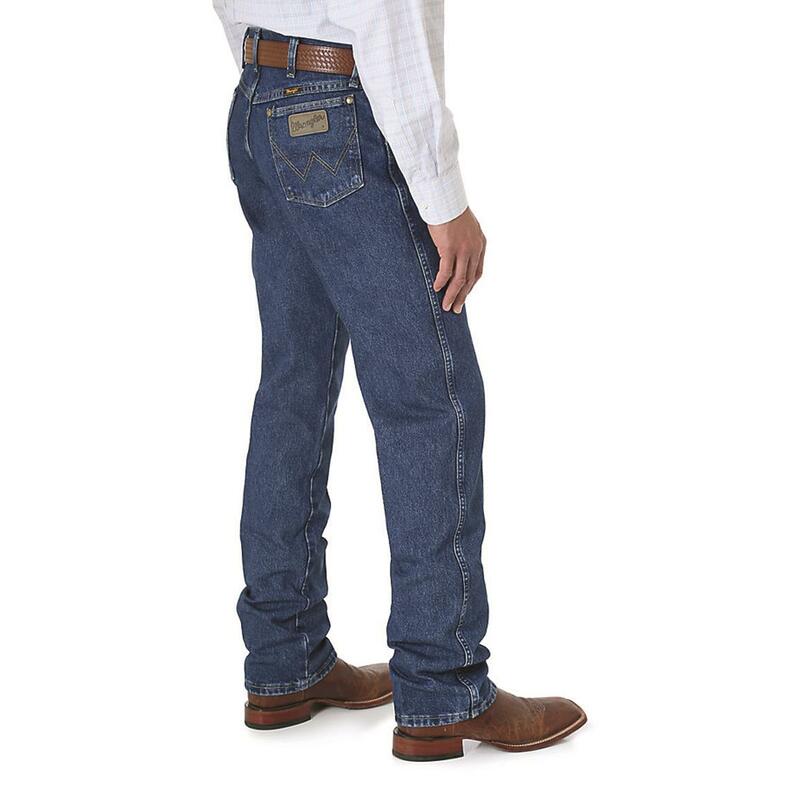 Rated 4 out of 5 by Doc from Cowboy cut I bought two pair of these, one is perfect, the second pair has 3 construction flaws that make them unwearable. 1. The outer seam on the right leg is sew incorrectly, and the seam twists to the front of my leg. 2. The zipper flap cover at bottom of zipper does not lay down flat. 3. The bottom seam on the left leg sewn incorrectly causing the "cuff area" to flip up and it won't stay down unless ironed. I only found these flaws after washing so I hope customer service contacts me and gets me replace pair, as I also shredded receipt.